"Recently, BVI Airways was attacked and slandered on the floor of the House of Assembly, and VI Airlink, a BVI based carrier, has sought to delay, retard and block our launch of service to Miami by objecting to our application," said Willoughby in a press release. 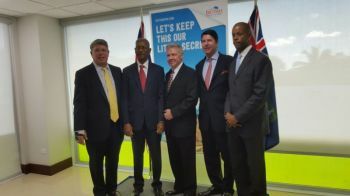 Recently the local VI Airlink and interCaribbean of Turks and Caicos Islands filed a joint petition against BVI Airways' application to the US Department of Transportation (DOT). 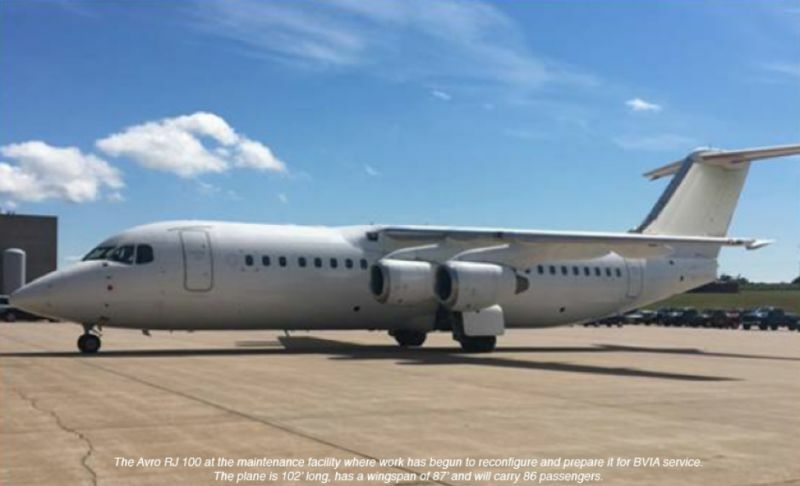 The two carriers are petitioning the application with claims that they were not provided with a copy of the BVI Airways application although the proposed service would affect their operations. They also cited the local Govenment's plug of $7M into BVI Airway is likely a conflict of interest. Both VI Airlink and InterCaribbean declined to comment when reached by this news site. In an open letter to the people of the Virgin Islands (UK), Willoughby said they are highly disappointed that the collective investments of time and capital to make non-stop service to Miami, Florida a reality has been recklessly placed at risk for political gains and greed. BVI Airways labelled VI Airlink’s petition as baseless, anti-competitive and fraudulent and will delay their launch and increase the pre-operating financial losses significantly. "The false claims made on the floor of the House of Assembly accusing BVI Airways of unpaid obligations, insider trading and unscrupulous business practices are patently false, lack any legal basis, and are an affront to our hard-working employees and the many Virgin Islanders in both the public and private sectors who have toiled long and hard to bring this venture to reality. Moreover, VI Airlink’s baseless, anti-competitive and fraudulent objections to our service to Miami will delay the launch and increase the pre-operating financial losses significantly." 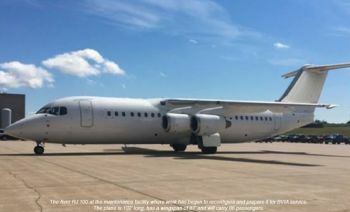 BVI Airways also claimed that as it stands now, their legal teams locally and the United States are reviewing the viability of claims to obtain recompense from the offending parties. 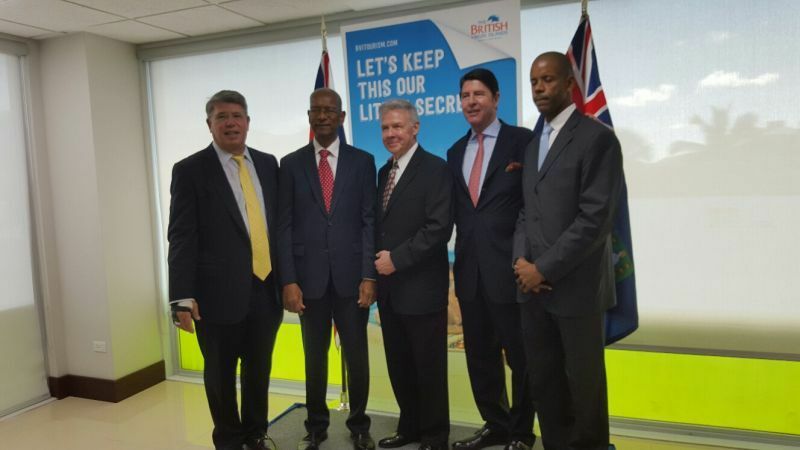 "BVI Airways remains committed to launching non-stop flights from the BVI to Miami once the vitriol, objections and road blocks are overcome. 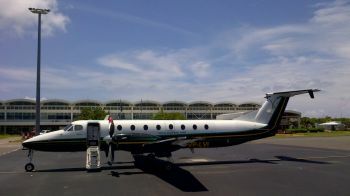 Our aircraft proudly bears the flag of the Virgin Islands and we fully intend to maintain the superior level of service and practices that the Territory is known for the world over through its financial services and tourism industries." 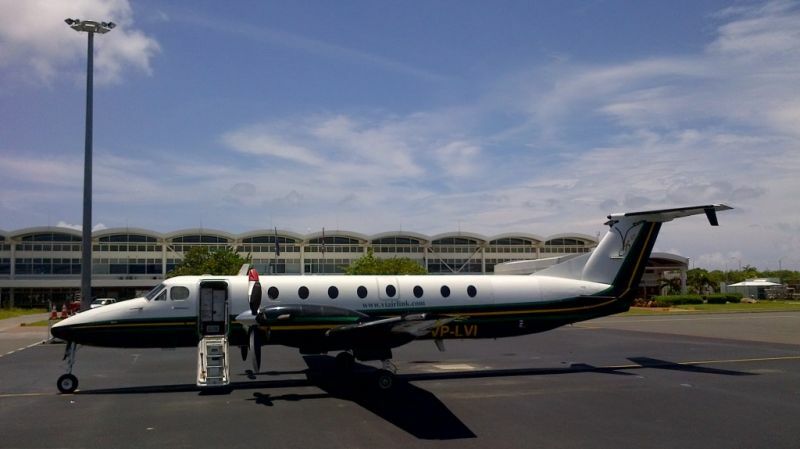 According to BVI Airways, their goal is to support the development of an aviation industry in the Territory and an enterprise that authentically reflects the people, industry and culture of the Virgin Islands. Speech full of lies and alternative facts in the house of assembly is protected from the very actions the headline says, just another bluster from a guy who took the BVI taxpayers for 7 million and never paid their last bill and that is not a lie. You right! Look like from early he trying to cast blame for future delays in starting the operation and high ticket prices by saying statements made in the House caused his lawsuit and so the cost of his tickets must be blamed on politicians!! Maaan, he sound bout as credible as Hugh Darley! What nonsense. Statement in the HoA are privileged even if they are absolutely outrageous. Other airlines are entitled to object to new licences being granted even if the objection is unmeritorious - if they were not served with the application in accordance with the rules, then the objection is valid even if there is no other substance to it. Surely BVI Airways expected theother airlines to object - if it did not then I wonder if the people running it know what they are doing. The fact that the new airport might not be built is surely good news, and not bad news for BVI Airways - if we get a longer airport and JetBlue, American and other operators of large aircraft will blow the BVI Airways away (assuming that they ever start flying). How our Gov't goes about making these underhand deals with questionable characters who come across as though they are of a more superior being than us here in these "tiny little remote islands" who need their help by taking our money to advance their own ambitious agendas. When will we learn that these pilgrims talk with two tongues, using their connection with our Gov't to advance their own ambition to possibly lower other investors in the United States and throughout the Caribbean. How can this be a level playing and competitive field? Appears more like a competitive advantage from where I stand with the assistance of our own Gov't and our tax money. Instead of working to improve and advance our own, Our Gov't rather advance the use our tax dollars for theirs' (inside circle) and those who are always ready to "wheel and deal" to advance themselves under the guise of advancing these tiny poor little remote islands. Every dysfunction going on in our country right now- stems from the rottening roots of leadership in our country. A complete 360* is needed in Leadership right now to hopefully-within the next 10-15 years-impact a more positive change in the course of our country. If not, we all will experience the spiral decline in the quality and standards of our lives we have toiled and worked so hard to achieve. As (PO) would say- "Nuff Talk, Done Talk, and Time for Action." @Quite Unfortunate. I agree. This is indeed a competitive advantage, especially how they are using the so-called partnership with our government to "lure" other investors into their scheme, even before the ink dries or a lease plane get off the ground. And now that they are being called out, they want to use every obstacle as an opportunity to pass the cost, once again, onto the same taxpayers who may possibly use their service if it does ever get off-the-ground, and if- it is reasonably affordable. NDP must come clean about this deal. If not- NDP just got to go! No more ifs or buts about it anymore. They have FAILED us. Point Blank! They making another set of Christopher Columbus moves on Doc and his gang. Doc cause this mess. This what happen when you leave you people out boss. Is more than $7 mil Doc promise them. All kind of perks plus they don't even have to pay tax on anything. What's the point? Did anyone read the agreement? What an easy walk in the park? It's not going to work with BVI Airways. Get rid of them before it cost we the tax payers more and get rid of the attorney general and financial secretary. They all bad for business. Everyone get a copy of BVI Airways contract & read it. Other than it being a high handed rip off of our tax dollars they by themselves missed two starting up dates even before the last House of Assembly. The BVI should be suing them. Well the government isn't the most clever is it. Having read the application, I see that the repayment of the government loan is subject to BVI Airways commencing its commercial operations and will be repaid within three years from that date. Now I see why its taking so long for them to commence operations, even though they can operate throughout the Caribbean...they don't want to start repaying loan. If government had any business acumen, that agreement would also provide for commencement of repayment of loan within, let's say, 12 months from issue of loan, whichever is sooner...that way the airline would have ensured that their operations commenced sooner, even if only restricted throughout Caribbean for now. Secondly government, the purpose of BVI airways application is to allow travel to and from US mainland on a specific carrier which would be suitable to land at the airport as it currently is, yes? Ok, so if that is the resolve to the smaller runway, why the hurry to put the country into such great debt to extend the runway?? Why not work with the current local carriers to afford the crafts that will allow direct flights to and from US mainland and support their application to the relevant authorities?? As your colleague loved to say during his campaign...DA MAKE SENSE? absolutely NO NO NO...I'll tell you what else it doesn't make...DOLLARS!!! Will BVI Air bite the hand that fed it? Let's march for our $7Million!!! This speech is Important all Visitor, your Logical Topic Need for thousand Visitor. This Message Imprtant for Heighly Topic.